Not quite a drinking vintage! I’m getting braver with my gardening and now endeavouring to propagate my plants. I went to considerable trouble sourcing varieties of cherry tomatoes so it makes sense to keep the seeds of the successful plants for next season. Deseed them (I used a spoon) and put seeds in a labelled container. 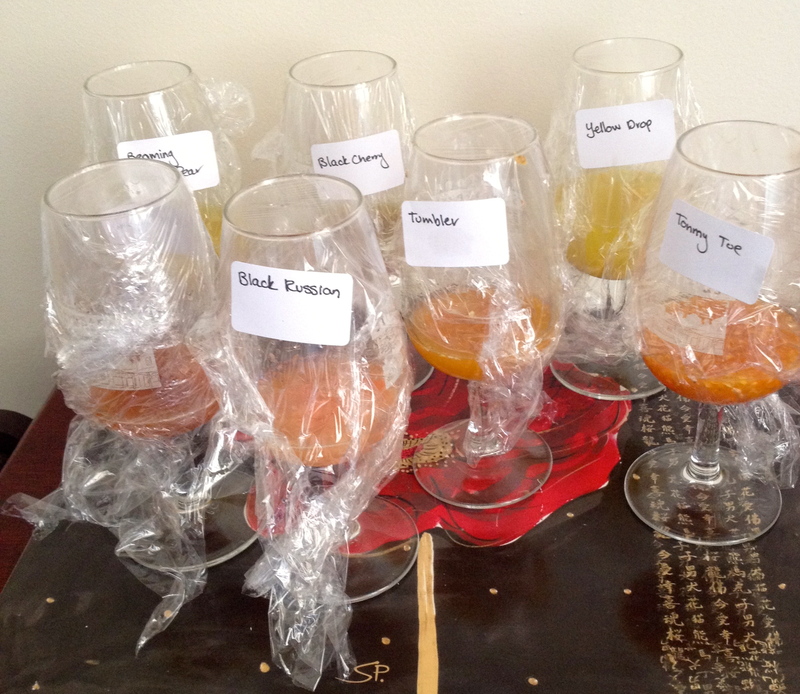 I used wine glasses which suited the process well. Add a little water and swirl to mix. Cover the container with plastic wrap with a hole to allow for limited air circulation. Each day swirl the glass to mix. What happens is that the seeds in the liquid will ferment and gradually break away from the glutinous covering. I left mine for about five days in warm weather, but which time they looked a bit scummy and fermented. Add cold water and swirl, then put through a fine strainer. Rinse the seeds in the strainer until all the muck is cleaned off and you just have clean seeds. Spread the seeds out on paper towels to dry – choose a dry place free from winds or drafts. Leave for a few days until fully dry, fold paper towels up with seeds and place in labelled clip lock bags for next growing season. Remember – this is my first time so I’ll need to wait until next year to see if it is successful. 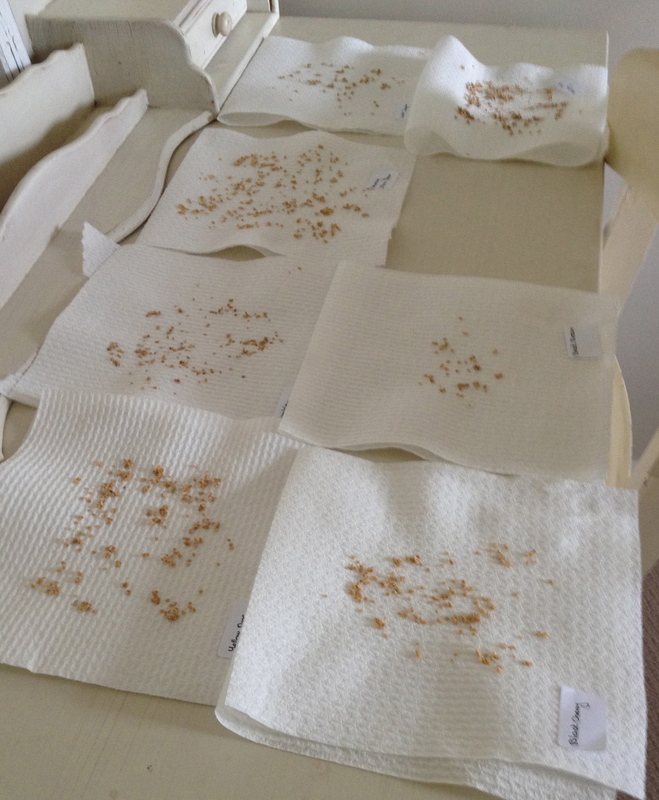 In the meantime I have a great collection of tomato seeds.